In Ulrich Köhler’s debut film BUNGALOW one minor character says: “I come from here; we live here.” The film is set in the provinces of central Germany, in Hesse, but words like these could never pass the lips of a leading character in any of the filmmaker’s works. Köhler was born in 1969, and it is true that his œuvre to date consists of only three films – BUNGALOW (2002), WINDOWS ON MONDAY (2006), and SLEEPING SICKNESS (2011); and the fourth, most recent film IN MY ROOM is celebrating its premiere this year in Cannes’ Un Certain Regard. Nevertheless, it is not wrong to speak of an œuvre: Köhler’s films are linked interestingly via their motifs and references. And identification with place is clearly not one of them. Ulrich Köhler currently lives in Berlin-Prenzlauer Berg. There’s a café where the filmmaker drinks an espresso in the mornings, and often calls in to have one for the road in the evening, e.g. after a visit to the cinema. Such routines are alien to his film characters, because they live in places where they are not at home. 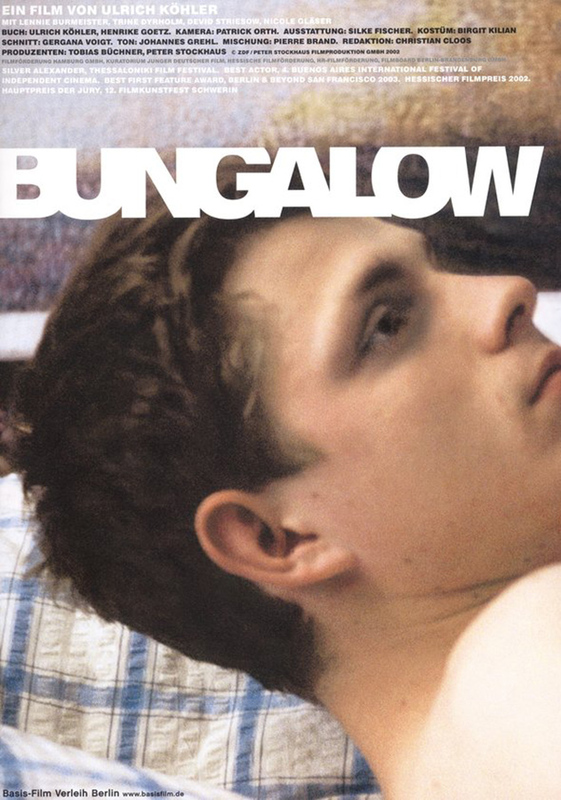 In BUNGALOW, a young recruit called Paul deserts to his parents’ weekend cottage, where he encounters his older brother and the latter’s girlfriend. This provides the basis for conflict, as the directionless, 19-year-old anti-hero with his still youthful, awkward body rejects the norms of social cohabitation. The idea, for example, that you don’t fall in love with your older brother’s girlfriend. 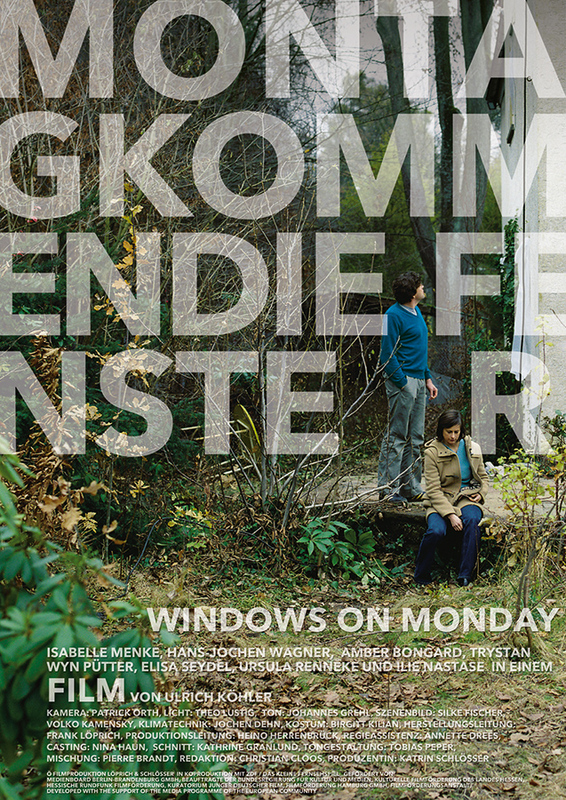 In WINDOWS ON MONDAY, a young doctor, Nina, pregnant with her second child and in the midst of renovating a house with her husband Frieder, is the one who pulls away from the established norms of nuclear family life. Nina also flees to her parents’ empty weekend property, and from there through the forest to a hotel. She roams through its corridors, dropping into strangers’ parties, where she encounters an ageing professional tennis player, who is swinging his racket for a show. 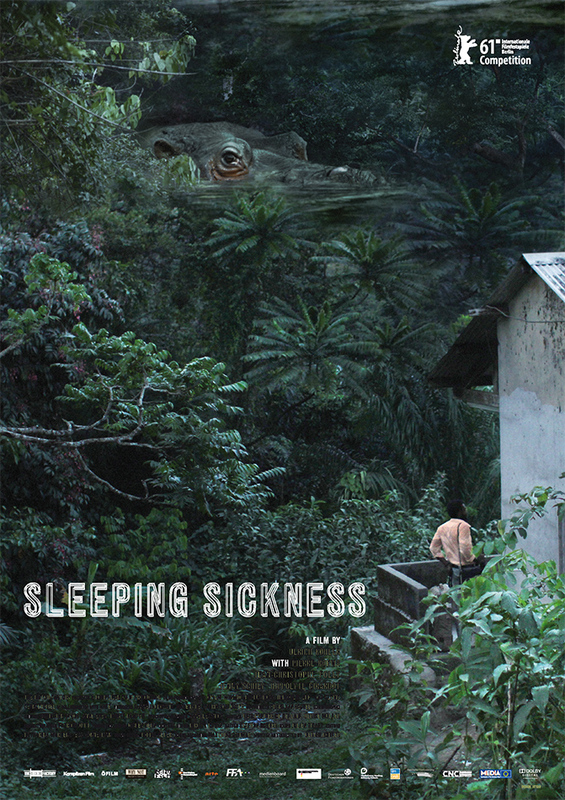 His impressions of that time play a part in SLEEPING SICKNESS. The film is about a doctor, Ebbo Velten, whose time in Africa is actually coming to an end. As opposed to what may be suggested in the first half of the film, however, he will not have returned to Germany, to Wetzlar in Hesse, when – after a brilliant cut – French doctor Alex Nzila from the World Health Organization travels to Cameroon to evaluate a sponsored project in the second half of the film. Two outsiders in the wrong place encounter each other in Velten and Nzila: the German doctor who seems unable to return home after long years in a foreign country, and Nzila, the son of a Congolese father, who doesn’t understand his ancestors’ country. And what is IN MY ROOM about? “In the broadest sense, the film is a Robinsonade”. That doesn’t sound as if anyone has deep roots in the place he is living. But how could he – after all, we are talking about the protagonist in a film by Ulrich Köhler.